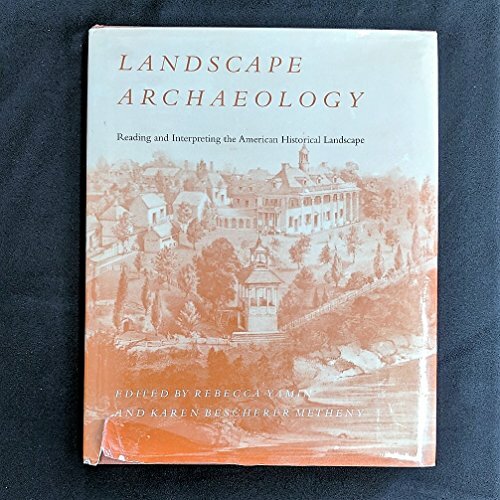 The essays collected in this volume represent exciting new directions in the study of America's landscapes. Written from a post-processualist viewpoint, these analyses go beyond directly observable phenomena to explain the particular significance that people have attached to the environments they create for themselves. As the editors note, "This volume includes many searching looks at the landscape, not just to understand ourselves, but to understand the context for other peoples' lives in other times, to unravel the landscapes they created and explain the meanings embedded in them." The book's overall approach is interpretive and interdisciplinary, drawing not simply on archaeological evidence but on oral history, written sources, ethnographic data, and human experience. The contributors examine a variety of questions and methods for recovering and interpreting past landscapes. How, for example, did an elite family in eighteenth-century New Jersey express its status and values through its manipulation of the landscape and how, indeed, do archaeologists derive that information from remains in the ground? What do the ruins left standing in a rural landscape say about attitudes toward time and family? How do the fields and yards of small farms reveal sociopolitical forces affecting the society at large?